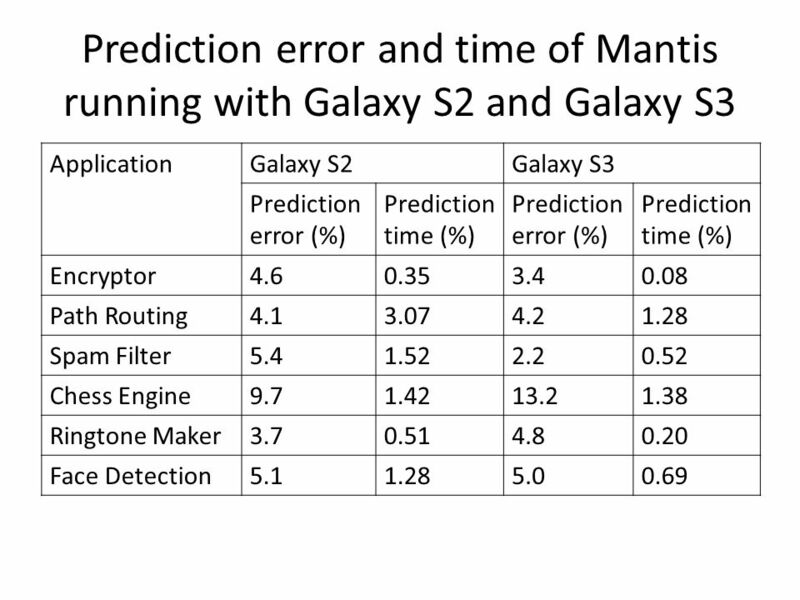 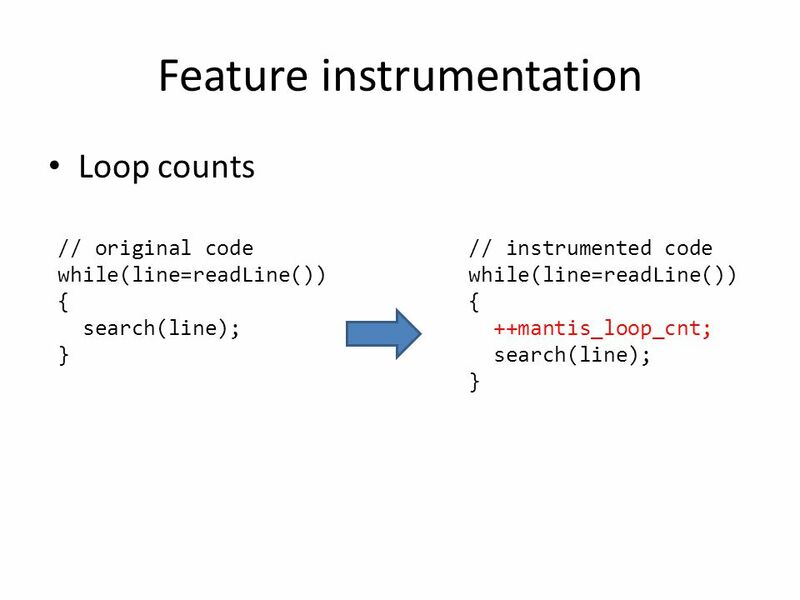 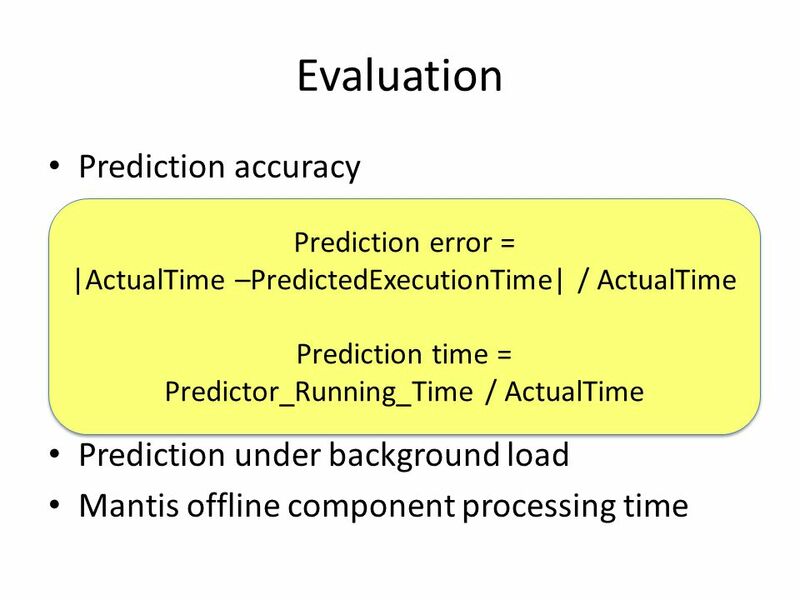 Mantis: Automatic Performance Prediction for Smartphone Applications Byung-Gon Chun Microsoft Yongin Kwon, Sangmin Lee, Hayoon Yi, Donghyun Kwon, Seungjun. 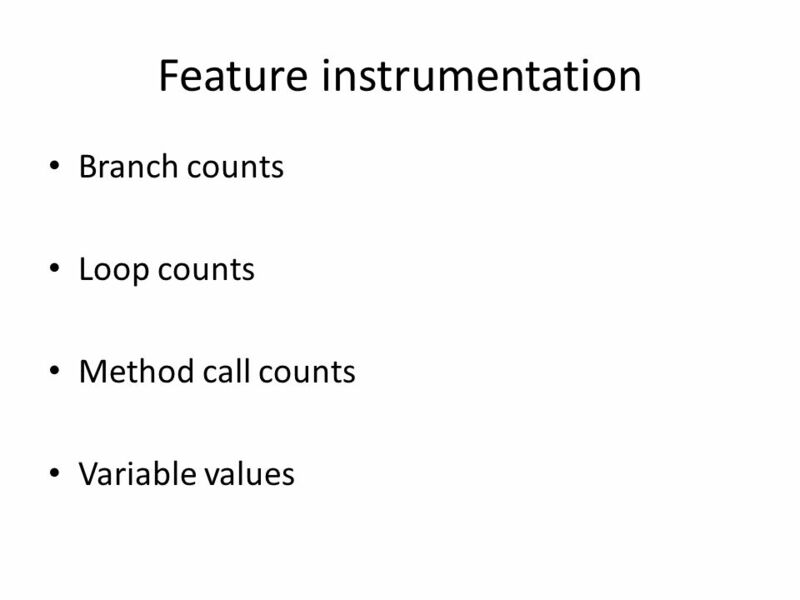 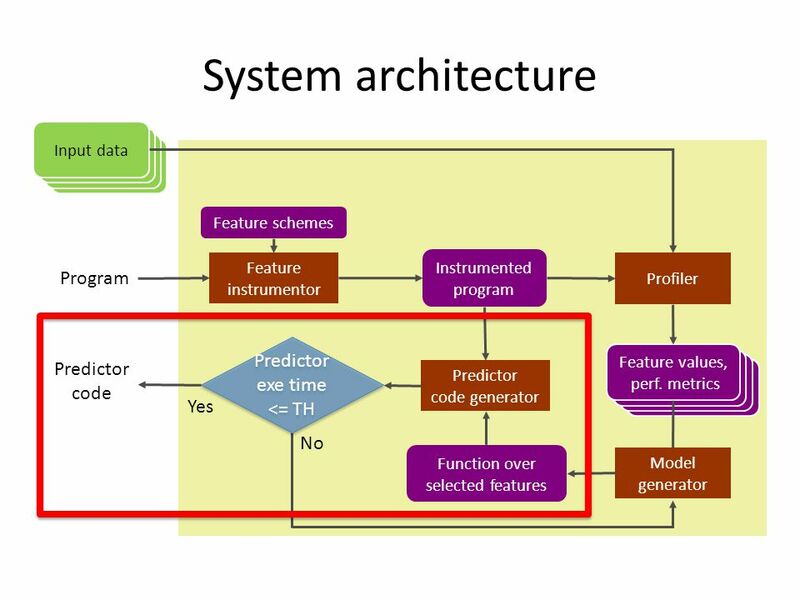 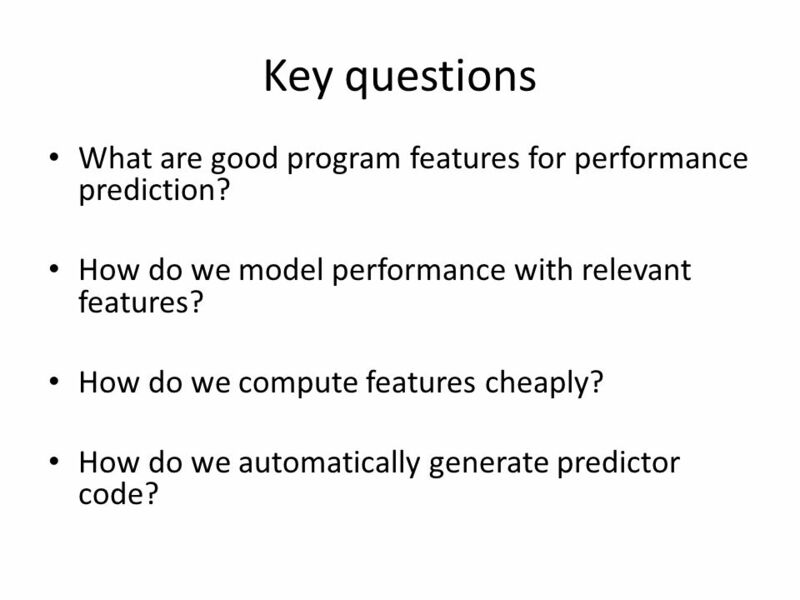 11 Key questions What are good program features for performance prediction? 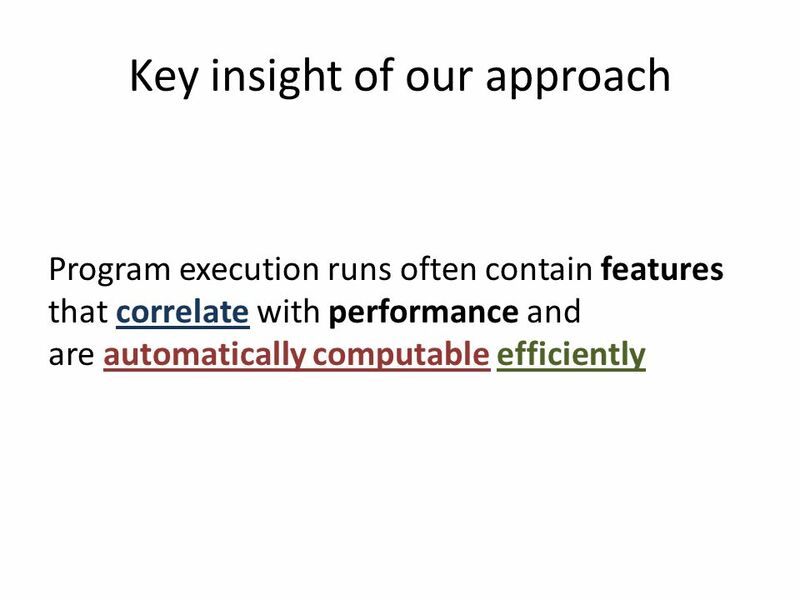 How do we model performance with relevant features? 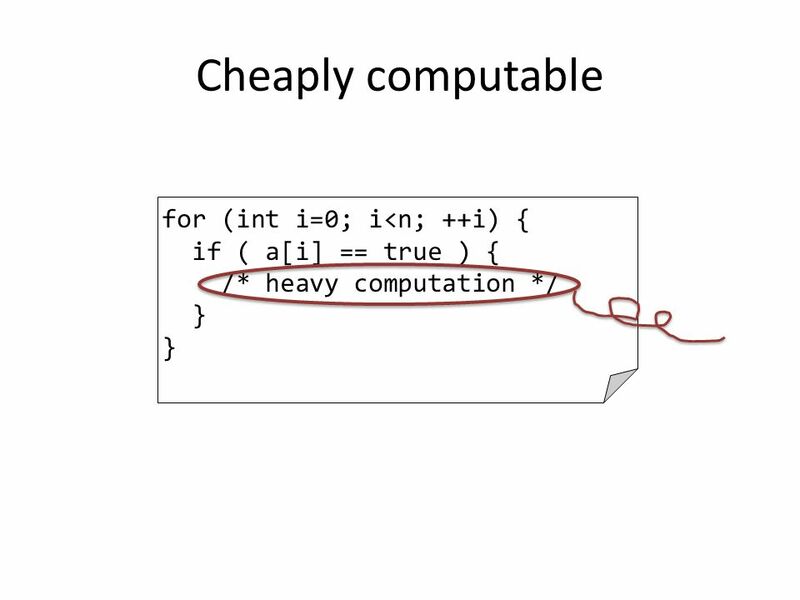 How do we compute features cheaply? 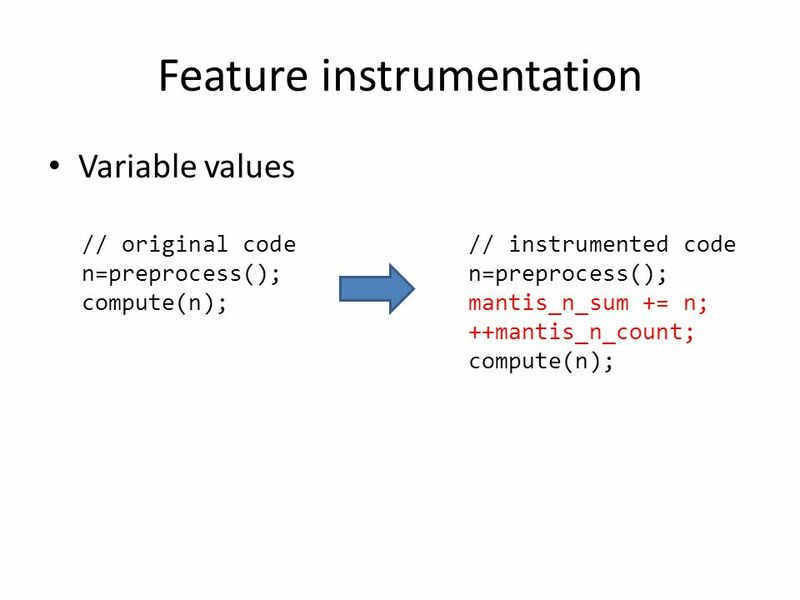 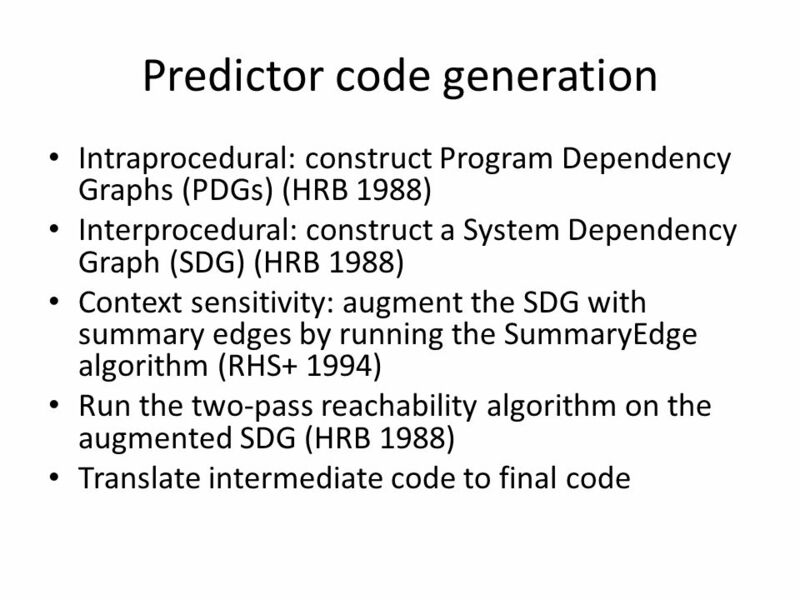 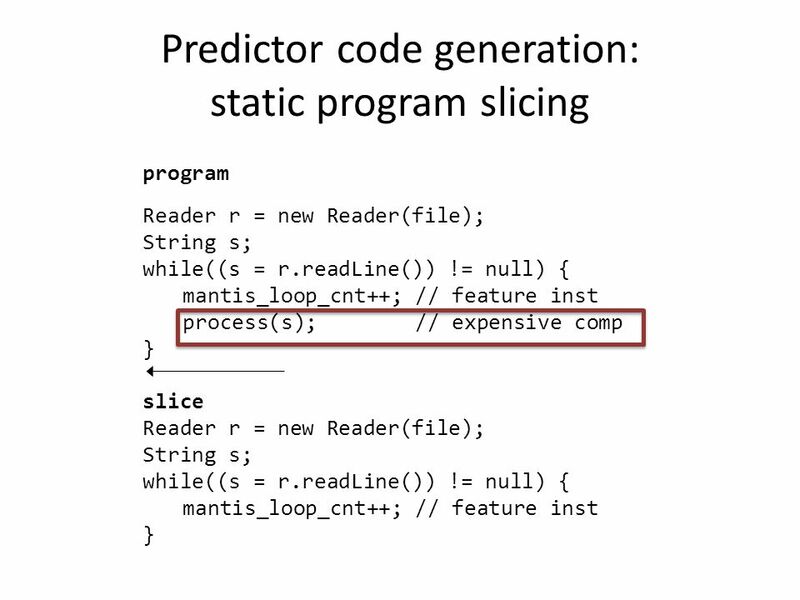 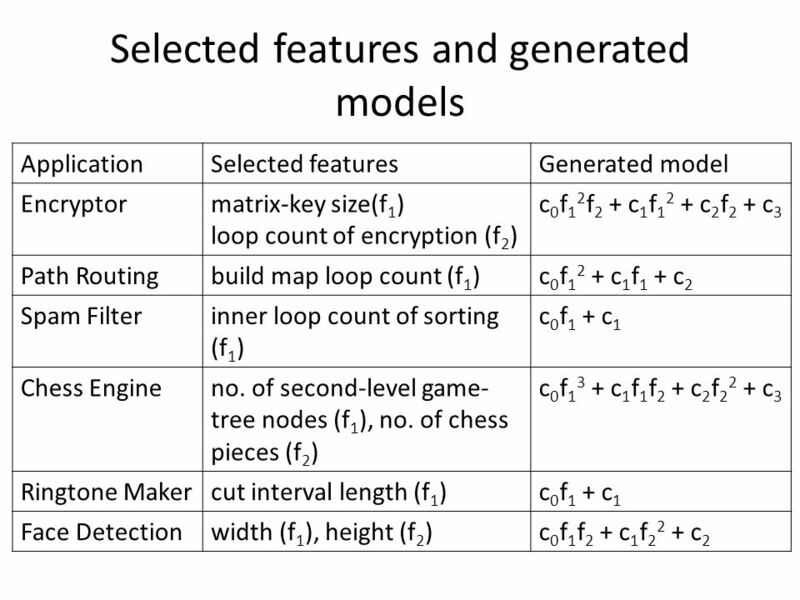 How do we automatically generate predictor code? 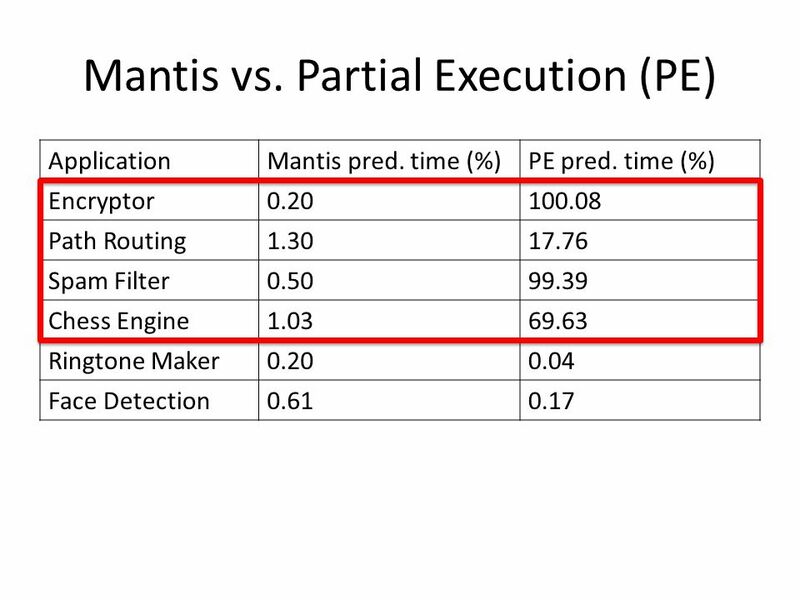 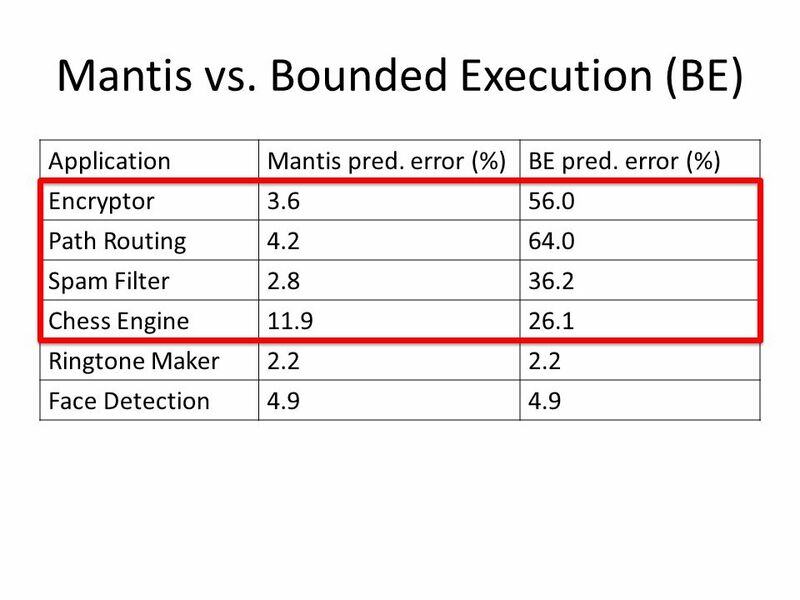 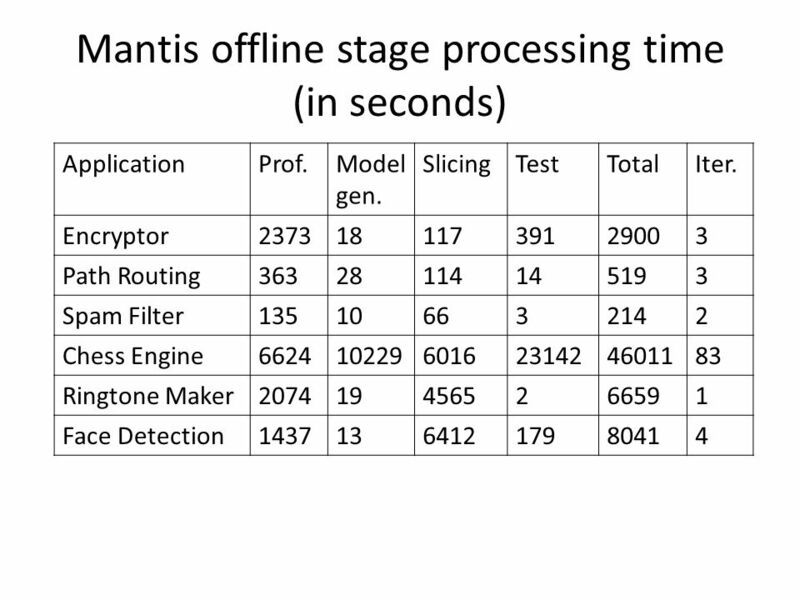 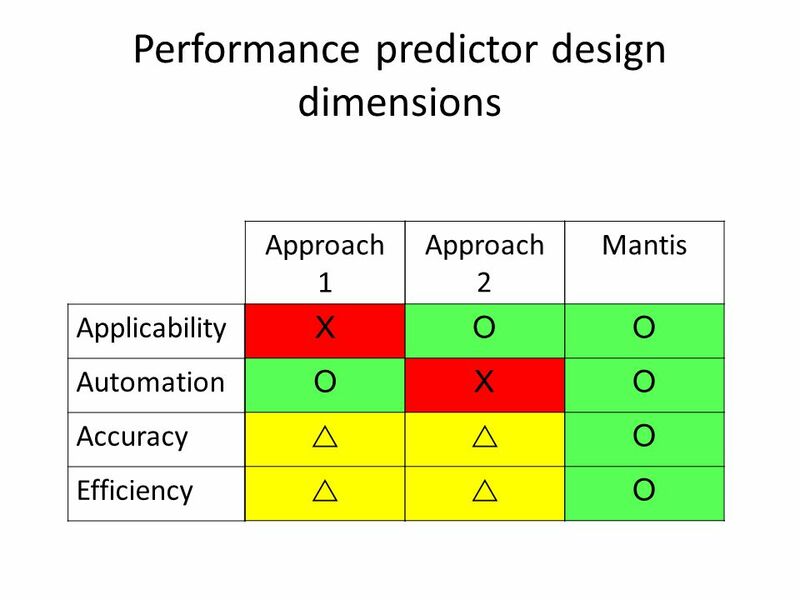 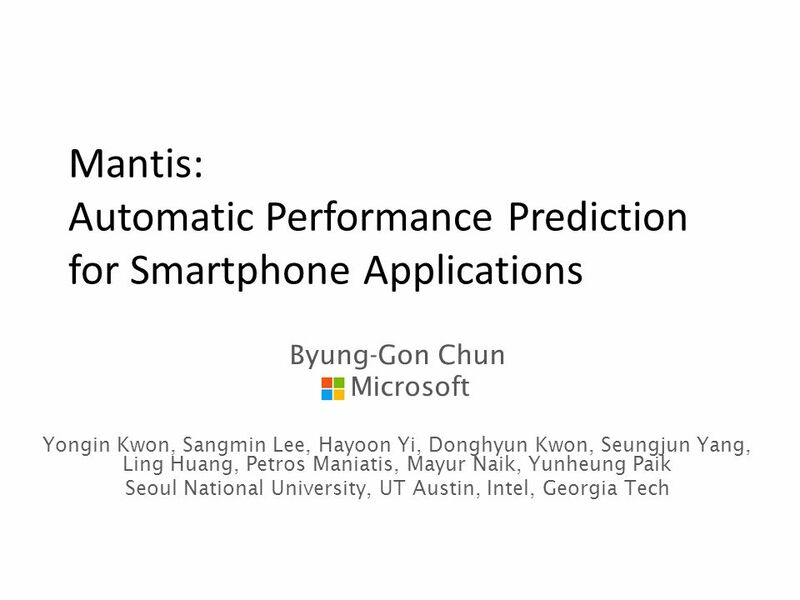 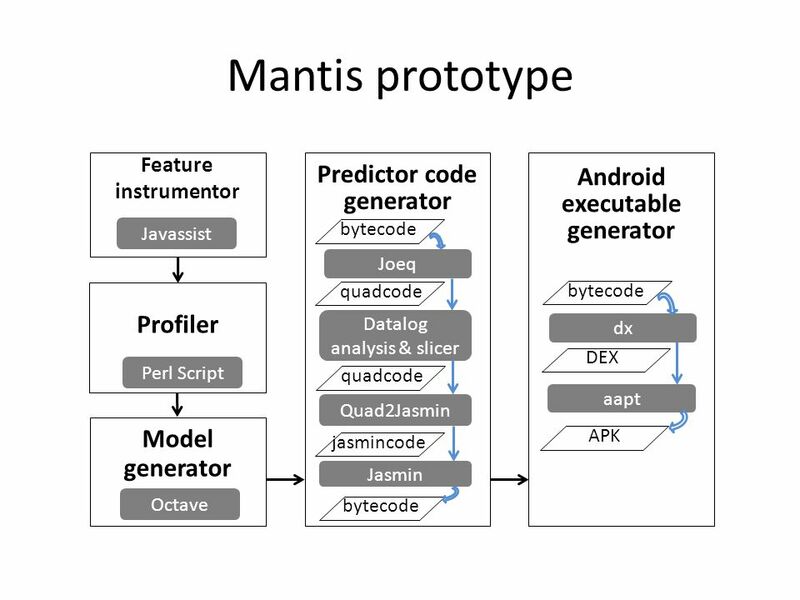 Download ppt "Mantis: Automatic Performance Prediction for Smartphone Applications Byung-Gon Chun Microsoft Yongin Kwon, Sangmin Lee, Hayoon Yi, Donghyun Kwon, Seungjun." 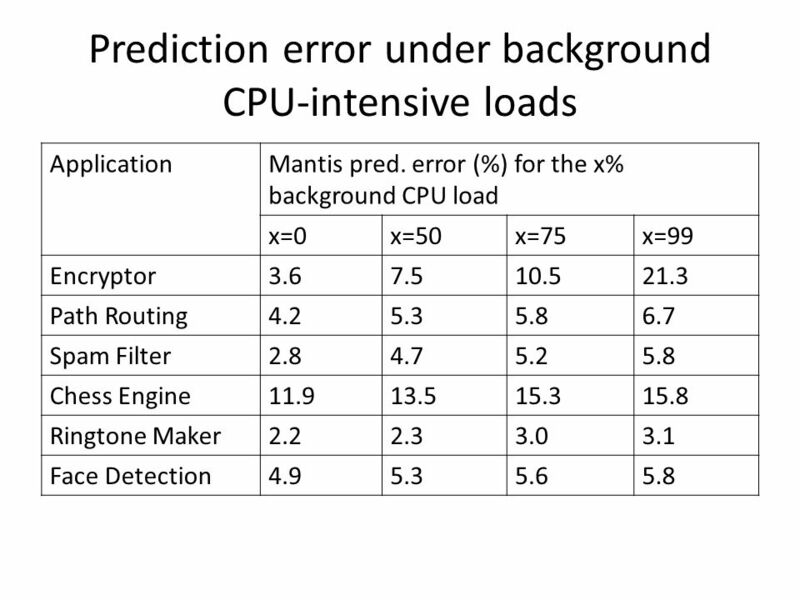 Mechanizing Program Analysis With Chord Mayur Naik Intel Labs Berkeley. 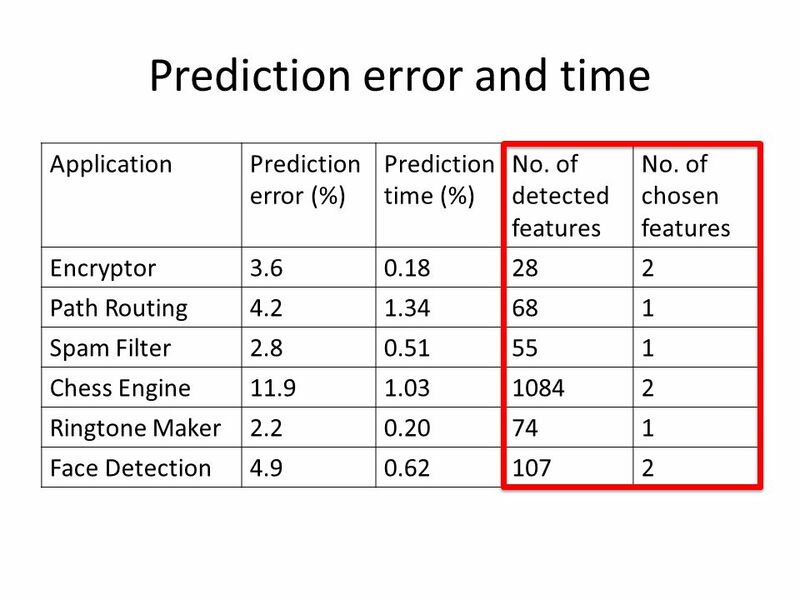 1 Improving Cluster Selection Techniques of Regression Testing by Slice Filtering Yongwei Duan, Zhenyu Chen, Zhihong Zhao, Ju Qian and Zhongjun Yang Software. 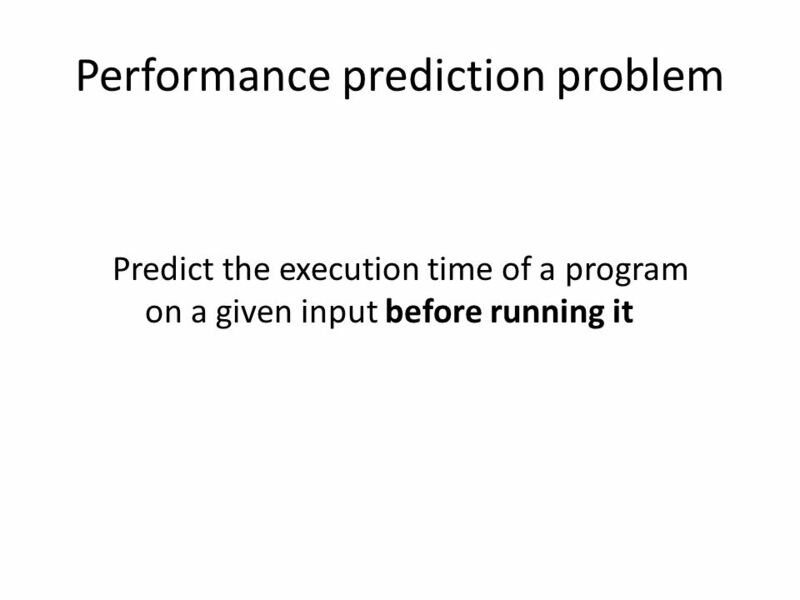 (c) 2007 Mauro Pezzè & Michal Young Ch 17, slide 1 Test Execution. 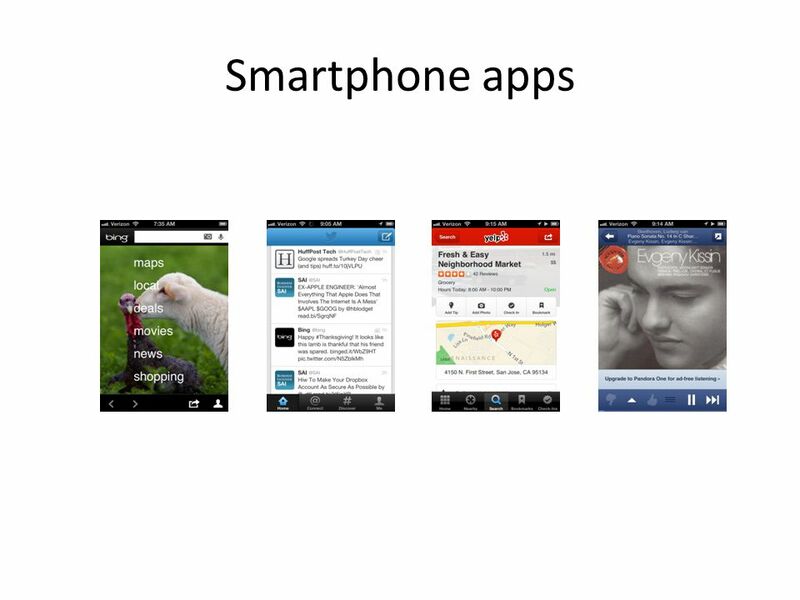 Neil Kidd Developer & Platform Group Microsoft Ltd UKVSTS UKVSTS. 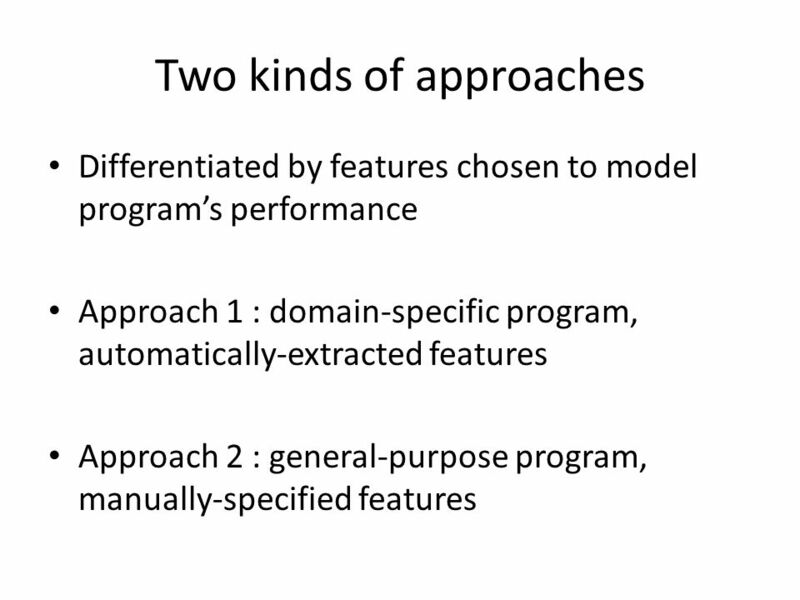 Challenges and Tradeoffs in Activity and Sleep Monitoring Blaine Price. 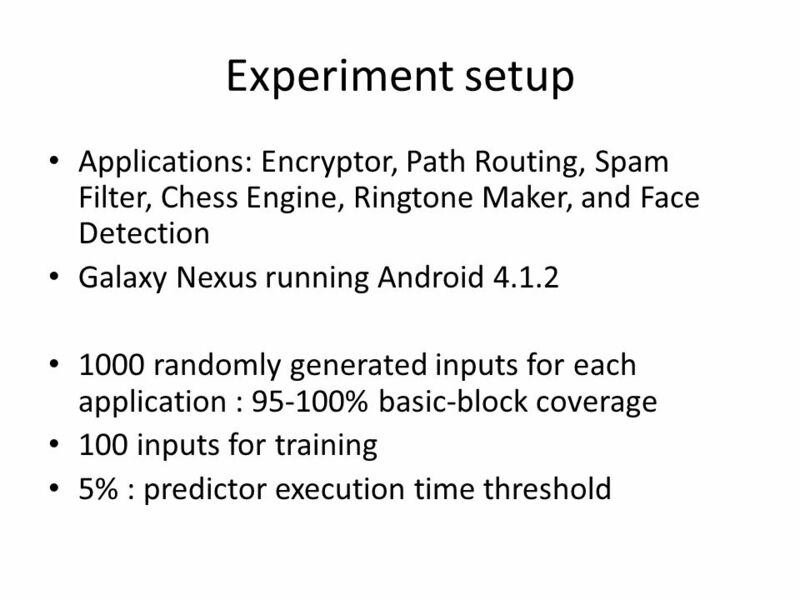 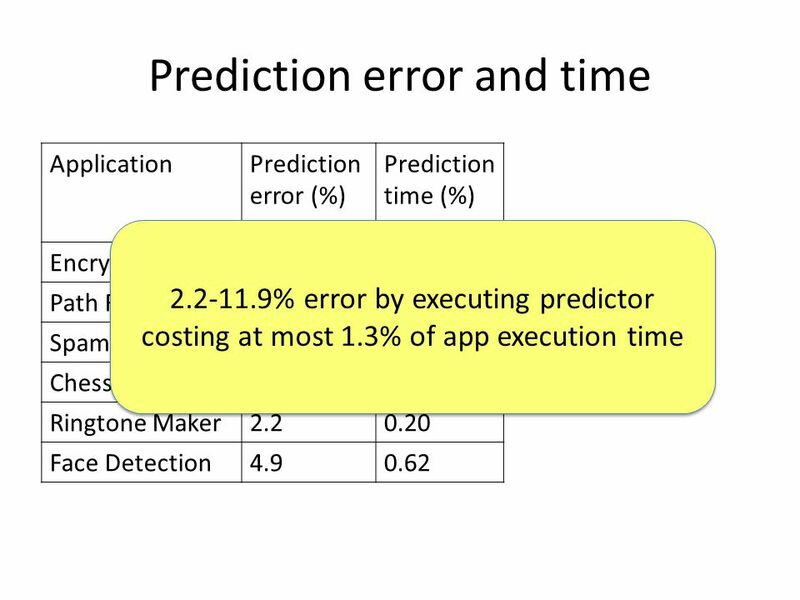 Automated Concolic Testing of Smartphone Apps Saswat Anand Stanford Univ. 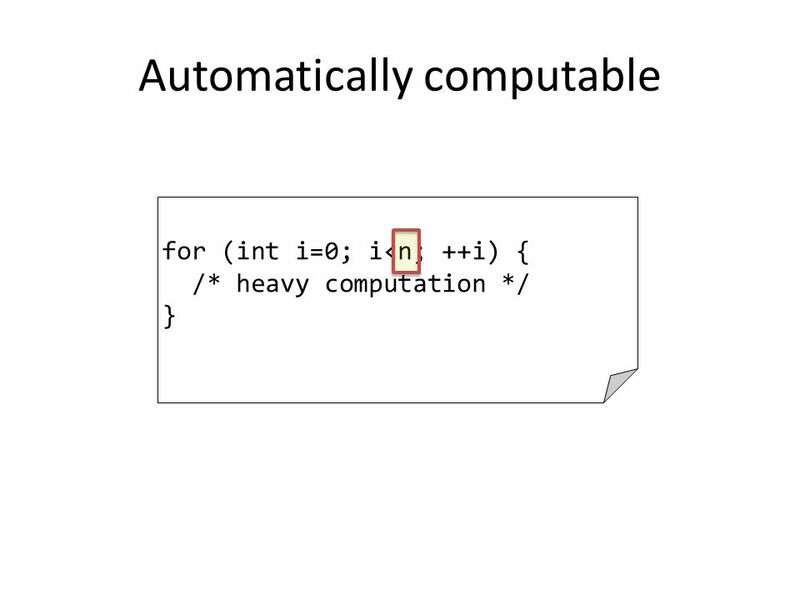 Mayur Naik Georgia Tech. 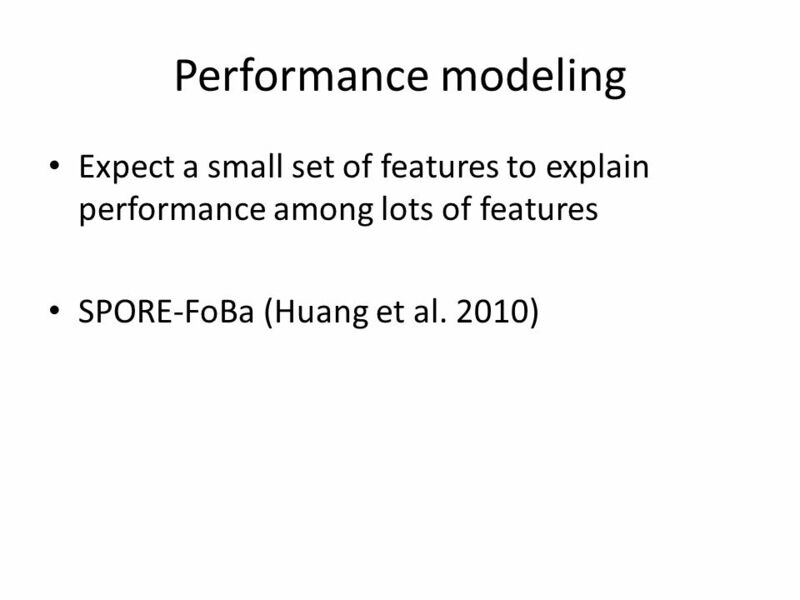 Hongseok Yang Univ. 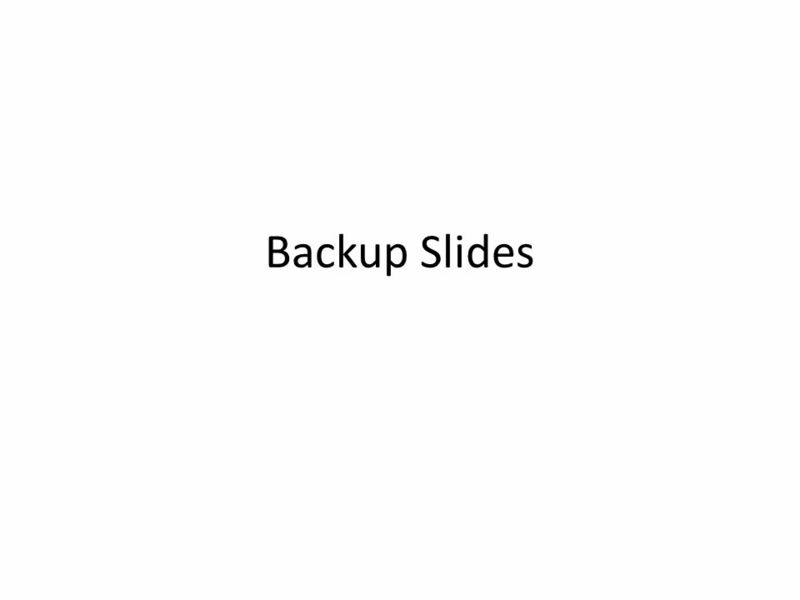 of Oxford Mary Jean Harrold Georgia. 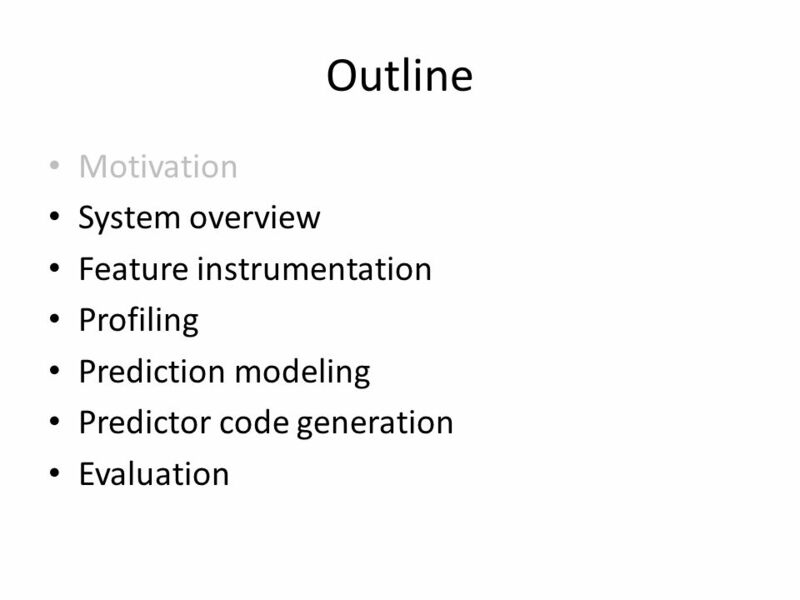 Metadata Development in the Earth System Curator Spanning the Gap Between Models and Datasets Rocky Dunlap, Georgia Tech. 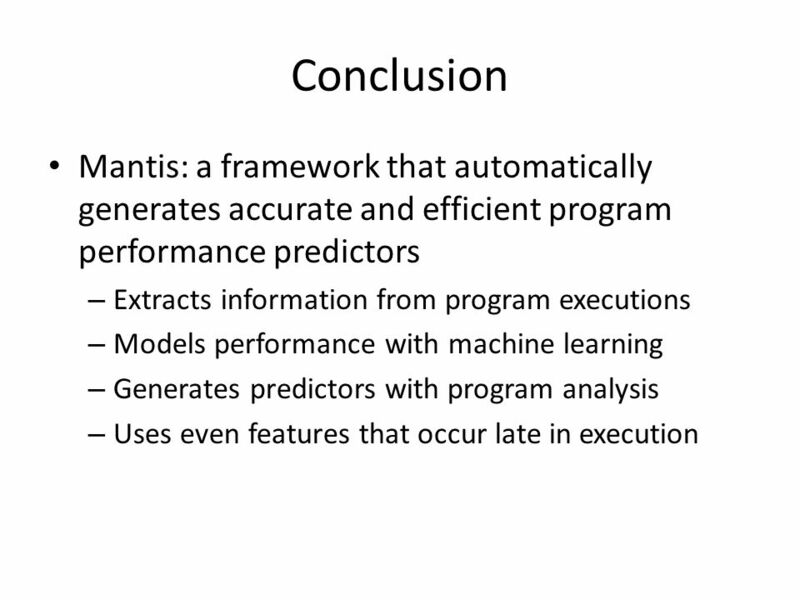 Automated Evaluation of Runtime Object States Against Model-Level States for State-Based Test Execution Frank(Weifeng) Xu, Gannon University Dianxiang. 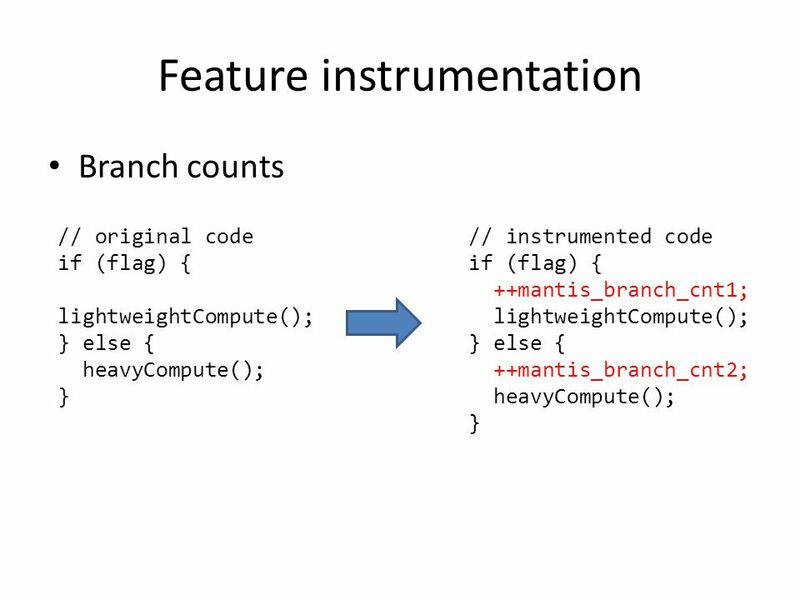 Wish Branches Combining Conditional Branching and Predication for Adaptive Predicated Execution The University of Texas at Austin *Oregon Microarchitecture. 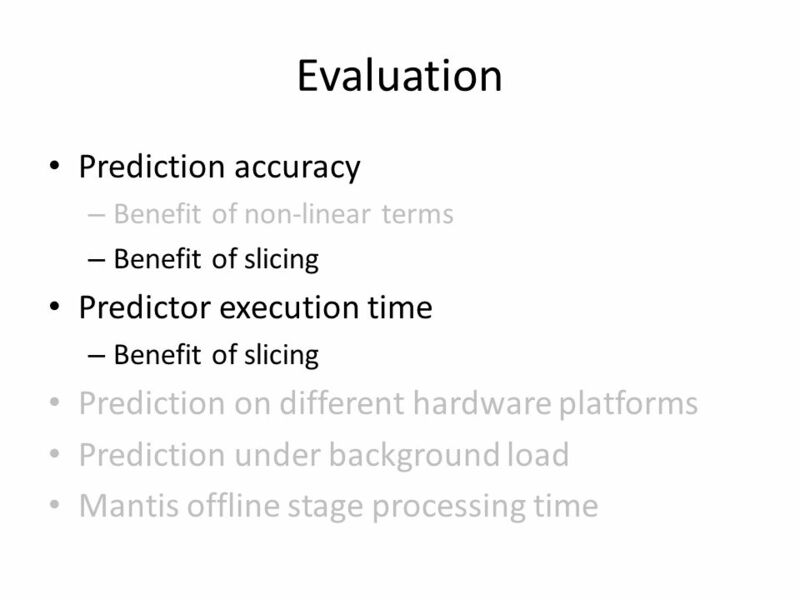 Han-na Yang Trace Clustering in Process Mining M. Song, C.W. 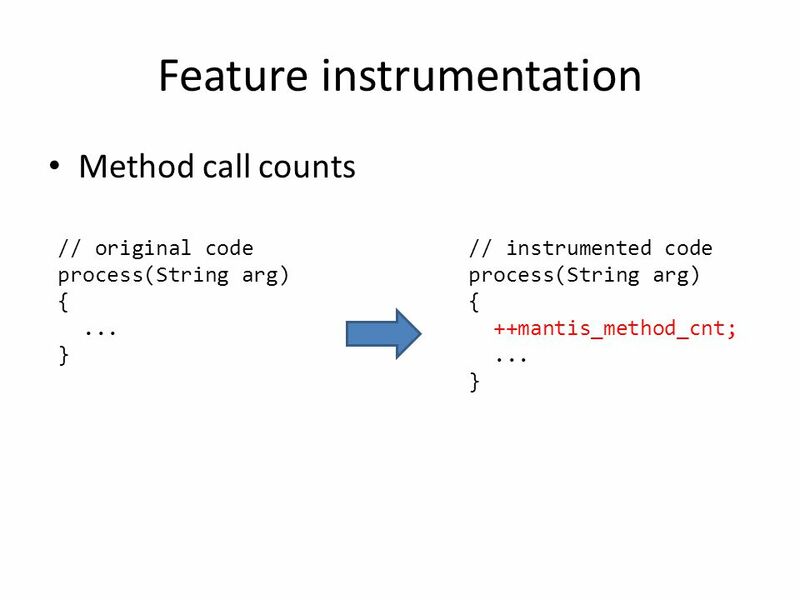 Gunther, and W.M.P. 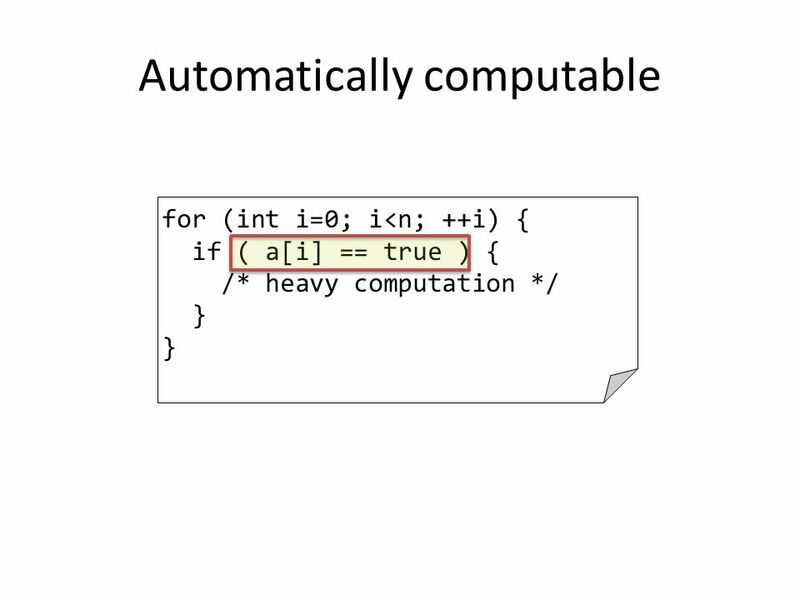 van der Aalst. 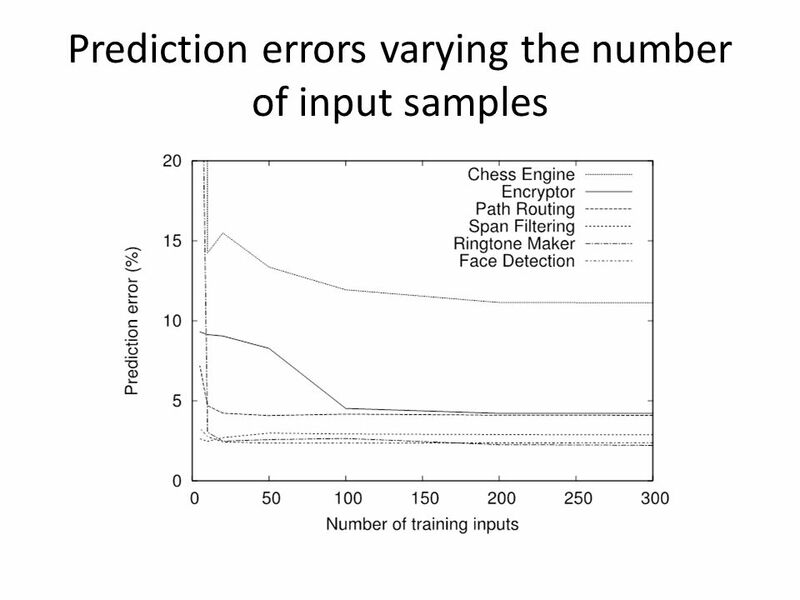 Does Training Input Selection Matter for Feedback-Directed Optimizations? 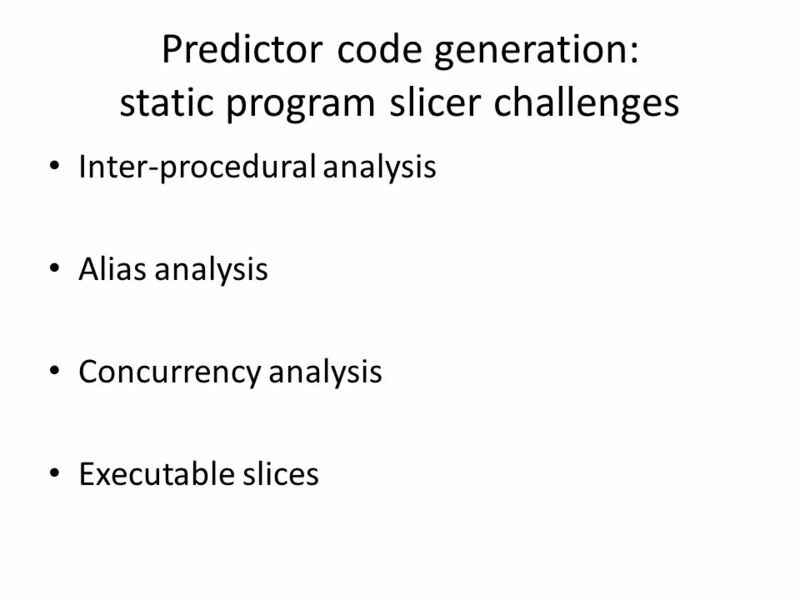 Paul Berube University of Alberta CDP05, October 17, 2005. 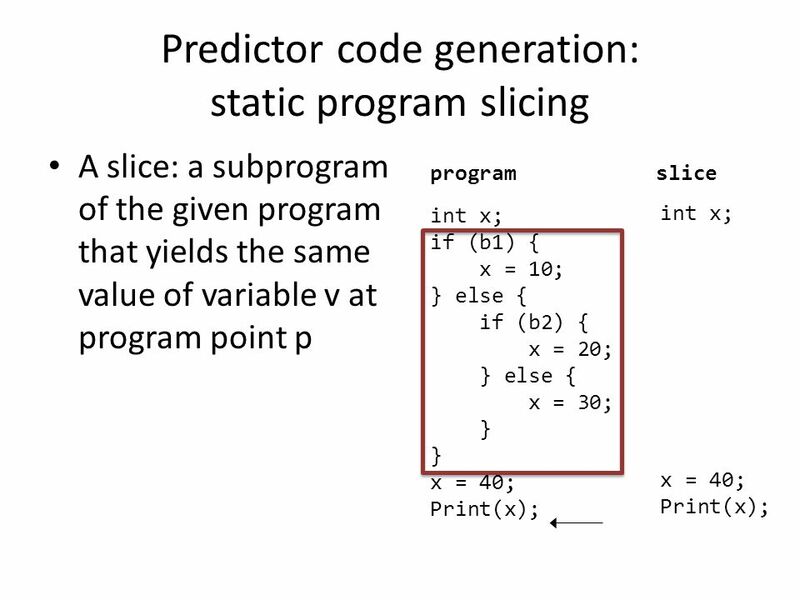 ECE Synthesis & Verification1 ECE 667 Spring 2011 Synthesis and Verification of Digital Systems Verification Introduction. 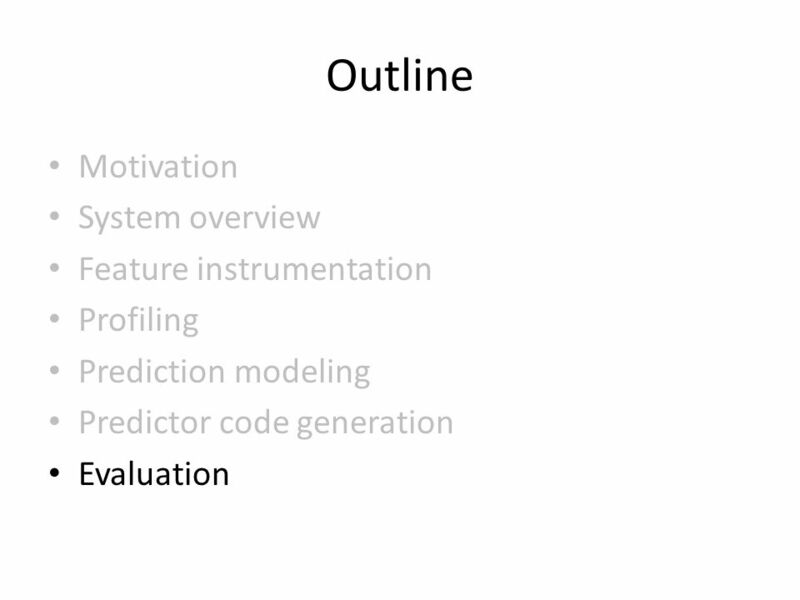 A Metadata Based Approach For Supporting Subsetting Queries Over Parallel HDF5 Datasets Vignesh Santhanagopalan Graduate Student Department Of CSE.